Dinner 4:00 - 9:30 p.m.
A local institution since 1968! Family friendly restaurant, serving lunch, dinner, and Sunday Brunch. 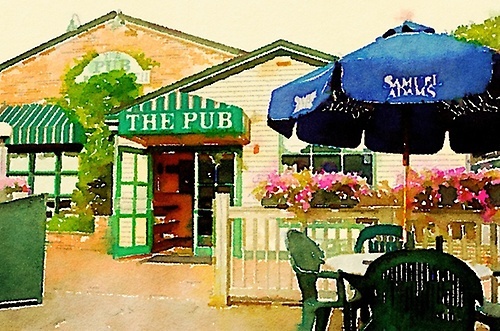 The Pub's menu offers Award Winning Burgers, Seafood, Fresh Salads, Weekly Specials, and Prime Rib on Fridays. Children's Menu-Kid's Night every Wednesday. Patio dining May thru October.